The 50-year-old handed in his resignation today after he and Leeds failed to agree the terms of a deal to sever his employment. 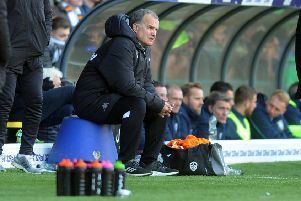 But in a statement Redfearn said: “It is with great sadness that I am resigning from my employment at Leeds United with immediate effect. Redfearn finished last season as United’s head coach, managing the first-team squad in a period when Cellino was banned from running the club by the Football League, but the Italian chose to replace him with Uwe Rosler after regaining control of Leeds at the start of May. Redfearn, who leaves United after more than six years as a coach, said in his statement: “I would like to place on record my thanks to everyone connected with the first team, including the fans, for making last season both productive and beneficial after a difficult start. “The LUFC academy is now regarded as one of the most productive in the country and last season proved testament to that with the continued development of Sam Byram, Alex Mowatt, Lewis Cook, Charlie Taylor, Kalvin Phillips, Lewis Walters and Chris Dawson amongst a crop of outstanding young players to wear the Leeds badge of honour and to don the famous white shirt. “The academy philosophy and coaching programme that I wrote and developed will be part of my legacy to this great club and hopefully will help shape more top young professional footballers moving forward. “Last, but not least, I wish to thank the fans for their unstinting support both during my time at the academy and whilst in charge of the first team.